October is breast cancer awareness month. As a health care worker, I see and dealt a lot of patients even friends going through the battle of breast cancer. This month I would like to join the pink ribbon challenge. 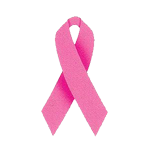 Just click the pink ribbon to help one woman save life by getting free mammogram. If you may join with me and pass the pink ribbon challenge. These links are ONLY for "Pink Ribbon Challenge" participants, any links not related to the Pink Ribbon Challenge will be deleted. Grab the code at Things We Share and post it in your blog entry. Please post only the Pink Ribbon Challenge actual post link here and help The Breast Cancer Site and National Breast Cancer Foundation Inc. by spreading the Pink Ribbon Challenge. Hi please try to update the code, the pink button is not directed properly, I just fixed it, sorry for the error and hassle I caused and thanks for joining the challenge. following the pink ribbon linky.....and now I'm following you!